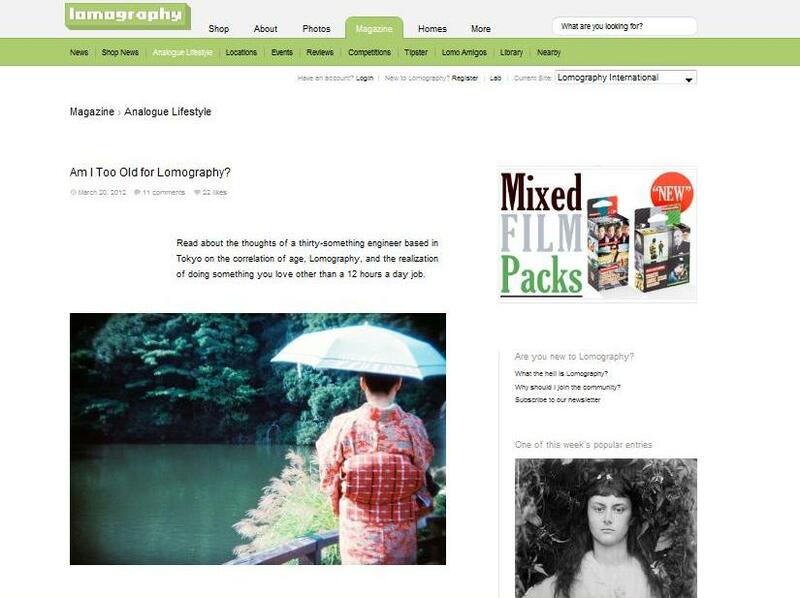 The link below is the article that I submitted and got published at Analogue Lifestyle section of Lomography Magazine. It was well received by the community, translated to other languages and chosen as “Lifestyle Feature of the Week”. The article basically explains everything about this blog. Am I Too Old for Lomography? Be Magical at Tokyo Disneyland! This is an amazing photography blog! I will keep in touch! I simply like it! Wonderful blog and pictures! Congrats on Freshly Pressed! Great work! I just gave you a shout out on my blog to share your work with my readers. have a grand time with your camera, looking forward to your photos!